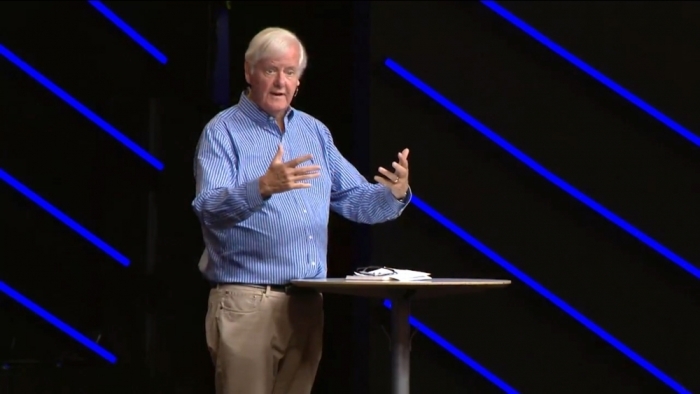 Evangelical critics of President Donald Trump and his supporters are “dead wrong” in their prioritizing of concerns, according to British author and social critic Os Guinness. Conservative Christian radio host and author Eric Metaxas interviewed Guinness on Metaxas’ podcast that aired on Tuesday, partly in regards to Guinness’ newest book, Last Call for Liberty: How America's Genius for Freedom Has Become Its Greatest Threat. “I was vilified and since have been vilified as everything under the sun. Even my fellow Christians, or I should say, especially many of my fellow Christians, have said things I would have thought them incapable ever of saying,” said Metaxas. Released last October by InterVarsity Press Books, Guinness’ Last Call for Liberty focuses on his concern about the recent decline in political civility. “Our society's conflicts are rooted in two rival views of freedom, one embodied in ‘1776’ and the ideals of the American Revolution, and the other in ‘1789’ and the ideals of the French Revolution. Once again America has become a house divided, and Americans must make up their minds as to which freedom to follow,” reads the book’s Amazon description. “What’s interesting is how quickly it becomes clear that Metaxas—although he has apparently read and enjoyed Diabolical—seems to be blissfully unaware of most of the more revolting moments in the Milo oeuvre,” wrote Egger.